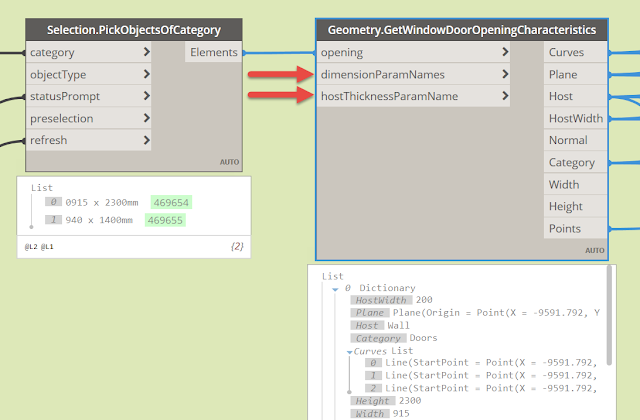 Three months ago, I published the Structural Design Dynamo package, which supports various structural workflows in Dynamo and Revit. I shared some example scripts [here and here] based on the package. I also taught a class at AU on this subject. Since that time, many of you have reached out to me. First, I would like to thank you all for your positive and inspiring feedback! Many of you have started to use this package on your everyday projects, but some of our international friends found the Geometry.GetWindowDoorOpeningCharacteristics node a bit limited. In the previous version of the package, some of the parameter names were hard-coded (names of the dimensions of opening type parameters, host thickness). I have good news to share – version 1.0.5 of the package comes with an updated node. Now you can find two additional parameters to override default (English) names of parameters. 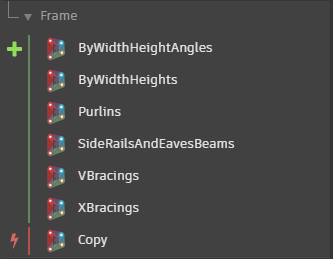 Version 1.1 is coming soon, I will share another update with some new nodes that can help you automate design of 3D frames.